After six months into the new year, we have reached the second Grand Slam of the year with the French Open looking to indulge us in some high-quality matches with their fantastic draw. The 2018 Roland Garros Women’s Singles draw is extremely impressive — featuring six former champions with four of them being placed in the same quarter. Defending champion Jelena Ostapenko faces a tough challenge in her attempt to defend her maiden title while this also marks the first time since the 2016 Australian Open where the “WTA Big Three”, namely Serena Williams, Maria Sharapova, and Victoria Azarenka, will be featured in the same Grand Slam draw. The battle for the top ranking will also come into play in Paris, with Caroline Wozniacki leading the pack since current world number one Simona Halep is defending a massive 1300 points and she will need to reach the semifinals for any chance to stay there. Garbine Muguruza, who has a tricky draw, also needs to reach the last four for a chance to regain the top spot while Elina Svitolina, Karolina Pliskova, and Caroline Garcia are also contenders for the top ranking. Serena Williams will play her first and only clay-court tournament of 2018, with this being just the third event of her comeback. The draw features several blockbuster opening-round matches, with the most notable being the clash between the unseeded 2009 champion Svetlana Kuznetsova and 2016 champion Muguruza. World number one Simona Halep will open her Paris campaign against the dangerous Alison Riske — though the American should not pose too much of a problem for the Romanian as the favourite is tipped to easily get past her opening matches. Her second-round opponent will be a wildcard, and the first seed she could meet is 29th seed Kristina Mladenovic, the home favourite. However, the Frenchwoman faces a tricky opener against former semifinalist and ex-top-10 player Andrea Petkovic, though the German is not anywhere near her best form recently. Elise Mertens is on the other side of the first section, and the Belgian is tipped to cause some noise in the draw having gone on a 13-match winning streak on clay earlier in April. She has a rather clear path to the second week though 24th seed Daria Gavrilova, who will face Sorana Cirstea in the first-round, and Elena Vesnina could pose some problems. Another familiar name featured in the first quarter would be 12th seed Angelique Kerber, who is on a three-match losing streak in Paris. The German will open her campaign up against compatriot Mona Barthel while her potential second-round opponent is the talented youngster Marketa Vondrousova. 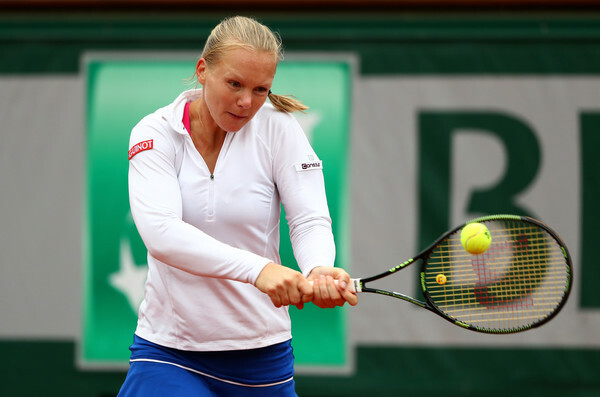 The draw does not get easier for the two-time Major champion, though, especially when Kiki Bertens, a rare clay-court specialist in the new era, could be waiting as well. The second-highest seed in the quarter is the seventh-ranked Caroline Garcia, who has a manageable opener against Duan Ying-Ying. The giant-killing Aleksandra Krunic and Peng Shuai look dangerous on paper, but the Frenchwoman should have enough quality in her play to get past the early rounds. 27th seed Zhang Shuai and Irina-Camelia Begu have the potential to produce some upsets on clay, but Garcia is still nonetheless the huge favourite to make the second week. The overwhelming favourites in this quarter are definitely the top-ranked Simona Halep while Caroline Garcia will look to impress herself in front of her home crowd, though the pressure could get to her in the midst. Kerber, who is not one of the most convincing clay-court players, has a tricky draw but if she were to be firing on all cylinders, a deep run could ensue as well. Elise Mertens and Kiki Bertens, proven by their previous results, are dark horses who could upset the odds. The must-watch match in the second quarter definitely has to be the clash of former champions here in Paris. World number three Garbine Muguruza will start her campaign with a blockbuster meeting against former world number two and two-time Grand Slam champion Svetlana Kuznetsova, who has fallen out of the top-40 due to a series of injury issues recently. That section could also feature an interesting match-up between Samantha Stosur and Anastasia Pavlyuchenkova, who won the title in Strasbourg yesterday, in the second round. The other half of the section is thrown wide open — with 15th seed Coco Vandeweghe having a huge upset alert after being drawn against clay-court maestro Laura Siegemund. Magdalena Rybarikova, who is not the most comfortable player on clay, could face the dangerous Belinda Bencic in the second round but the Swiss is under an injury cloud as this will be her first event since March. Another blockbuster match-up will see 11th seed Julia Goerges go up against the in-form Dominika Cibulkova, who made the final at the Internationaux de Strasbourg. Surprisingly, this will be their first-ever meeting. 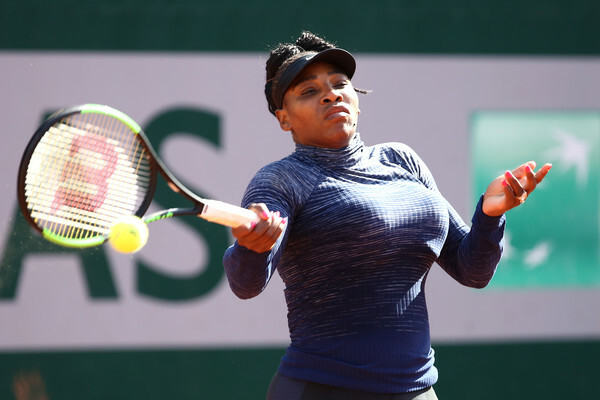 Serena Williams will play just the fifth match of her comeback against the hard-hitting Kristyna Pliskova, though her second-round opponent could be tougher as 16th seed Ashleigh Barty potentially awaits there, provided if she could get past the streaky Natalia Vikhlyantseva. However, the Australian sustained a back injury in Strasbourg, forcing her to retire in the semifinals there which now puts her participation at risk. 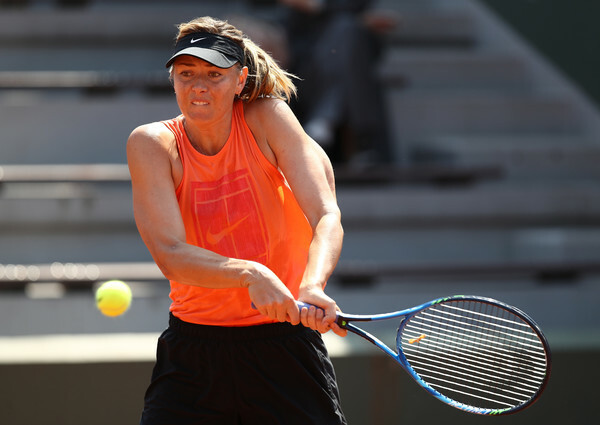 A thrilling third-round encounter could see 28th seed Maria Sharapova go up against sixth-seed Karolina Pliskova in a battle of former world number ones. Sharapova will have to get past qualifier Richel Hogenkamp before overcoming either Kateryna Bondarenko or Donna Vekic while Pliskova has a similar path, though a potential meeting with compatriot and 2015 finalist Lucie Safarova could happen in the second round. This quarter could well be the most unpredictable one — with Muguruza in poor form and Kuznetsova looking nowhere near her best recently, while opportunities are everywhere for players in the third section to mount a deep run. 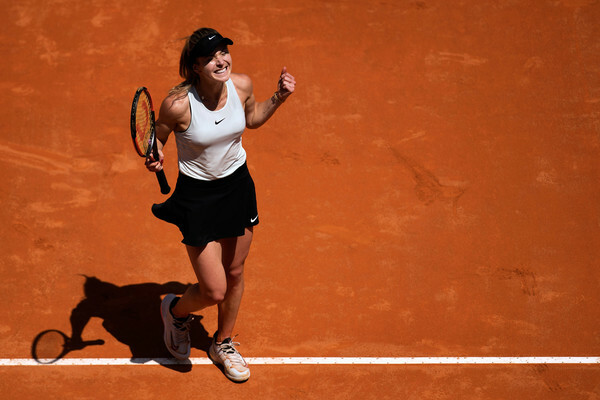 Serena’s form is uncertain as well, while questions will be raised whether Sharapova could continue riding on her momentum having reached the quarterfinals in Madrid and semifinals in Rome and if Pliskova can build on her excellent clay-court results this year. 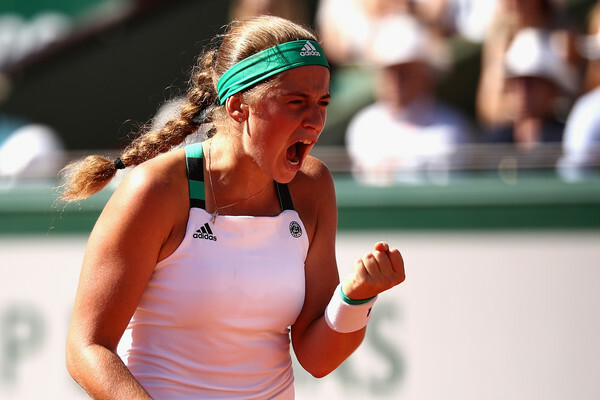 The defending champion Jelena Ostapenko will begin her title defence against Kateryna Kozlova, an encounter which the Latvian should not have problems triumphing in. Her second-round clash will be the tricky one — as either the dangerous Katerina Siniakova or former top-ranked and two-time Major champion Victoria Azarenka looms. Both players have not been extremely convincing in their recent results but still could pose huge obstacles in Ostapenko’s path to the second week. The giant-killing Ekaterina Makarova will go up against Zheng Saisai in her opening match but could face 25th seed Barbora Strycova in the second round, though the Russian has a rather poor record against the Czech. 22nd seed Johanna Konta will look to get off to a perfect start in Paris, having been handed a tricky draw as she faces 2016 quarterfinalist Yulia Putintseva in her first match. Venus Williams in the second-highest seed in the fifth section, with the world number nine looking to make her third consecutive second-week appearance here at Roland Garros. The American faces Wang Qiang once more, having faced her in the same round last year as well. Madison Keys, who was forced to withdraw from Rome due to a back injury, will make her return in Paris and she has received a favourable draw with her path to the second week being relatively clear with the exception of Naomi Osaka potentially waiting in the third round. The American will face fellow counterpart Sachia Vickery but no one seems to be able to trouble her if she can find her form. Title favourite Elina Svitolina has an extremely beneficial draw as her quest for a maiden Slam title was greatly aided by a clear path to the second week. She opens against Ajla Tomljanovic but faces no tough challenge though Hsieh Su-wei could cause some trouble in the third round. 2010 champion Francesca Schiavone, who went through the qualifying rounds, will be an interesting watch in this section. 31st seed Mihaela Buzarnescu has a great chance to win her first Major match but Svitolina will prove too strong for this section ultimately. Petra Kvitova headlines the seventh section as she is the overwhelming favourite to mount a serious challenge for the title. Veronica Cepede Royg, who is defending fourth-round points from last year, faces the Czech in the first-round and her ranking is in jeopardy as an early loss will result in a drop out of the top-100. 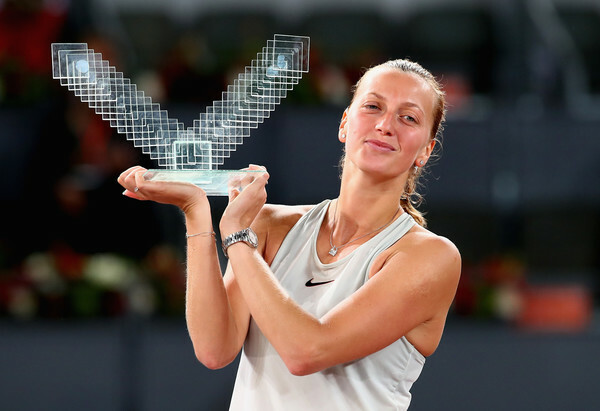 Kvitova’s toughest challenge early on would be Anett Kontaveit, who made the semifinals in Stuttgart and Rome. 20th seed Anastasija Sevastova could face some resistance from Camila Giorgi in the second round, with the Italian proving that she could excel on clay with her past results. US Open champion Sloane Stephens opens against qualifier Arantxa Rus but could face the hard-hitting Ekaterina Alexandrova in the second round, though she should not have any problems in progressing into the second week despite suffering a first-round exit in Nuremberg this week. 14th seed and dark horse Daria Kasatkina has a tricky opening-round opponent, having been drawn against nemesis Kaia Kanepi. If the Russian is able to get past the dangerous Estonian, it will be a manageable path to the second week with Carla Suarez Navarro potentially waiting in the third round. Maria Sakkari has a decent chance to upset the Spaniard, having claimed her first top-10 win in Rome earlier on. 32nd seed and crowd favourite Alize Cornet clashes against Sara Errani in a thrilling match-up and the winner will have a huge chance to make the third round where they will have a high chance of facing second seed Caroline Wozniacki. Wozniacki is the favourite to claim the number one ranking as Halep and Muguruza has to reach the semifinals for any chance to claim the top spot. Wildcard Pauline Parmentier could also cause some noise in this section, having triumphed in Istanbul a month ago. Wozniacki has a potential meeting with defending semifinalist Timea Bacsinszky, who reached the last four twice in the past three years, in the second round, though the Swiss miss has been greatly affected by injuries and has not won a match since July 2017. However, Bacsinszky has withdrawn from the tournament due to an ongoing injury, and as a result, she will drop out of the world's top-300 in the rankings.